I’m delighted the photo was acknowledged as being a little bit special because, of course, today is the 11th day of the 11th month and, this year, the 11th year of the century. Remembrance Day. A day, and a weekend, when we take time out to remember those who sacrificed their lives for us. 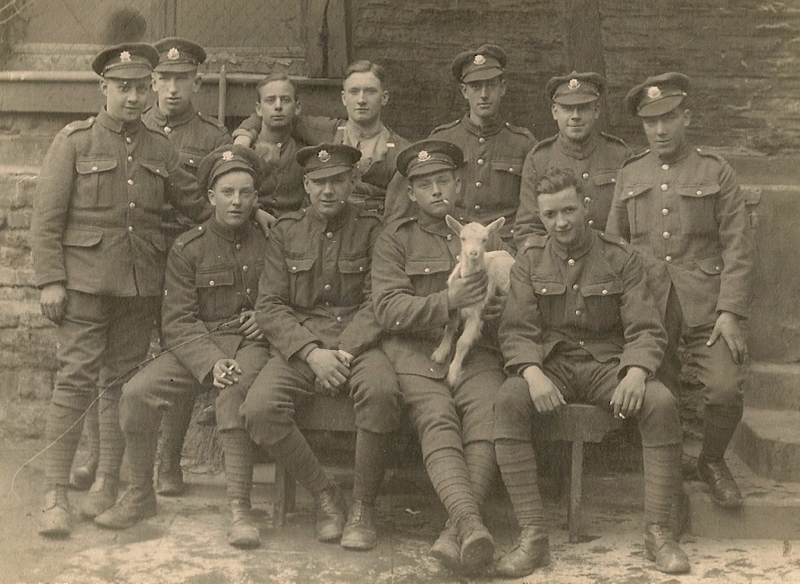 Although these men in the photograph survived the war, they were very brave to enlist and fight for their country. They will all be dead now but they live on in photographs such as this. The prize for the competition was a Kodak Pulse Digital Frame and I’m going to give it to my mum. It’s a clever WiFi gadget with its own email address so I, and the rest of the family, can email photos straight to the frame. I think she’ll like it. Many thanks to Tara for running The Gallery each week on her website. It’s the only linky/meme I have returned to regularly as I often find there is a theme which encourages me to seek out old and new photos and, more often than not, there’s a good story to be told too. So pleased you won. Well deserved. I shall be thinking of my grandfather today. Sadness, pride and lots of wishes that can't come true. I will still smile though. A really special photograph. Glad you won. Well done. The photo and the accompanying words deserved to win, your subject was written about with love. A thoroughly deserved win. I will have a look at Tara's website – looks interesting! prize! It was the fact that the photo and story were highlighted that really made my day. My dad would have been delighted too, for an old photo of hiis father to have been appreciated. Libby – Thank you. Finding out just a day or two before Remembrance Day was quite fitting. Curry Queen – I'm not really one for memes as such but I do enjoy seeing what the theme is each Friday and linking up on the Wednesday. It's fascinating to see how people interpret the theme and I've discovered some very interesting people through it. You would enjoy it. An important day indeed! What an incredible picture, so glad you won with it, it's amazing! Emma 🙂 Ps. Finally catching up, hope you are well!